Statistik ( общая по патчам ), шт. Shooting your zombie pilot might seem like a good idea at the time, but in this campaign it only leads to fighting your way through a zombie filled warehouse section of town. Hold out in the truck yard until you can lower your escape truck and head to safety. Make your way down a turnpike littered with abandoned cars to the nearby ghost town of Riverside—the site of a failed stand-off between the last of humanity and a limitless swarm of undead. Fight through the ruins of small town America to the waterfront nearby, where a rescue party can take you upriver to safety. Guide your team of Survivors out of the downtown and onto the runway of Metro International Airport, where the only thing standing between you and the last plane out of the city is a murderous army of the undead. Plunge through pitch-black forests, stumble blindly through fields of swaying corn, and take aim at the silhouettes leaping at you from the darkness—all towards finding a hold-out that might already have been abandoned to the horde. This community created campaign throws you deep in the back woods to face thousands of zombies as you battle your way to a helicopter rescue. Don’t let the water or waves of zombies sweep you away to your death. Want to play Gib Fest with some friends? Looking for a competitive game of confogl? Maybe you want to relax with the solitary pursuits of Lone Gunman or Last Man on Earth? With this update, all of the Mutations are now available to you all the time. Xbox players will need to own The Passing DLC for access to Mutations. Starting today, Left 4 Dead 2 will be available through Games on Demand on Xbox Live as a direct download. Getting an Xbox friend to join you in L4D2 is now just a button click away. Once players have the core game, they can download additional DLC at any time as The Passing, The Sacrifice, and Cold Stream will all also available as downloads on Xbox Live. 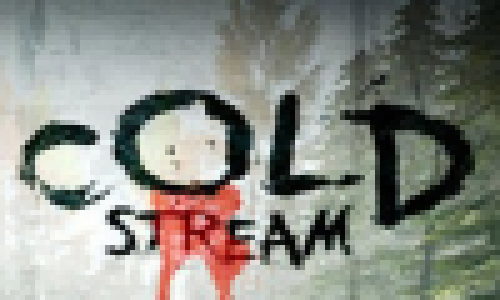 Later this year, L4D2 will be available on a brand new platform. It will be one of the first Valve games to be released on Linux. This will allow Linux users to run Steam and play the game directly without having to run additional software. You can follow the development HERE and we will have more information later this year as we get closer to release. Today we are featuring the Community Campaign, Deathcraft II. This campaign is a total conversion of the world of Left 4 Dead into Minecraft. The original L4D cast is thrown into the retro world of Minecraft. If you have never played a community campaign, don’t worry its easy. Just download the map vpk to your addons directory and next time you start the game it will be available to play. Since this is a feature campaign, you will be able to play it on Official Dedicated servers. We have more detailed instructions if you need them HERE. Not content with having Minecraft in Left 4 Dead, we are putting Left 4 Dead in Minecraft. Next month, all 8 survivors will officially be available as characters in Minecraft for Xbox. The world of Left 4 Dead has spawned many community created movies – both live action and animated. Just this past week we were watching A Fistful of Donuts and this trailer. To help movie makers everywhere, we are releasing the L4D2 characters into our own movie making tool – the Source Film Maker (SFM). The SFM is a free download available to everyone. While the tool is TF2 focused, the community has already been creating and dropping in Left 4 Dead assets as well, these models should help you make the next animated Left 4 Dead classic. 7. World War BOO! - World War BOO! 8. Игра Portal - современное искусство - Museum of Modern Art (Нью-Йоркский музей современного искусства) признал игру «Portal» современным искусством.